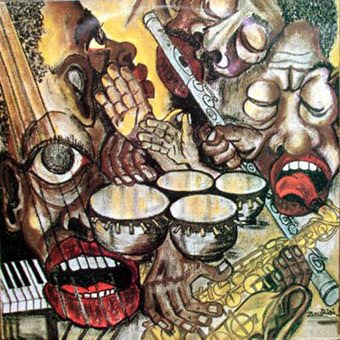 What better way to celebrate South Africa's vibrant democracy than to reveal one of the holy grails of South African spiritual jazz - Batsumi. 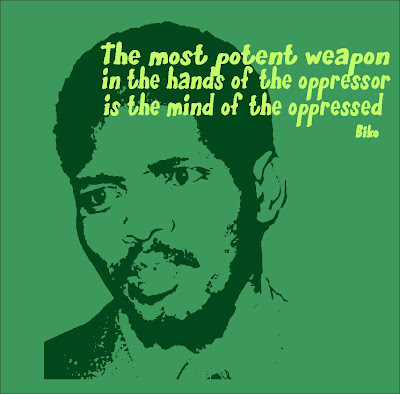 Contemporaries of Malombo, the Dashiki Poets and other conscious African artists, Batsumi fused jazz, African drums, poetry and words delivering a powerful fusion that was in itself an expression of freedom from physical and mental chains. I've compiled what little information is available on the group without in-depth primary research. There appear to have been just two original LPs along with one reissue. The sleeve notes for the second LP mention a third LP which I've not been able to track down. In 1982 an LP under the band name Marumo and titled Modiehi (Spade, 1982) included some members of Batsumi. There is also a catelogue number on the Stax label (Stax 5517) which appears to have been allocated to the first Batsumi LP. If you have any further information then please post a comment or contact me. Thanks and enjoy. Produced by Baba Matiwane. Cover illustration by Zulu Bidi. 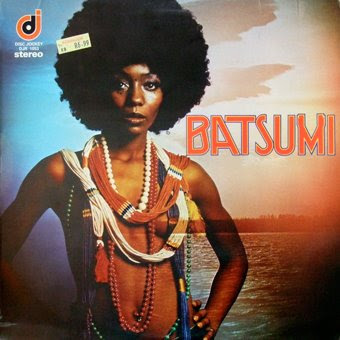 From their inception in 1972 Batsumi were in search for new indigenous sounds and in 1974 they cut their first disc BATSUMI, popularly called BATSUMI SOUND by their fans. 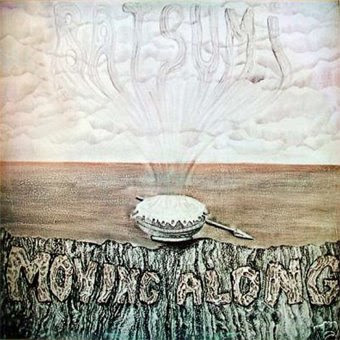 MOVING ALONG consists mainly of familiar SOUNDS to prepare the many fans for BATSUMI's third Album which will revel in rapturous indigenous sounds BATSUMI caught in their quest. Al the songs on this Album are composed and arranged jointly by the Group. Buta-Buta is the main vocalist, blind Minesh Sibiya plays bongos and sings Toi-Toi. Adel Maleka who is the leader of the group, is the percussionist and plays drums. John Maswaswe Mothopeng the blind pianist also plays acoustic guitar. All these are founder members who for the first four years have been engaged in hunting for new sounds. Also feature din this Aldum as session men are the three former Batsumi members, Zulu Bidi, Temba Koyana and Sello Mothopeng, and two other musicians Peter Segona, a trumpeter and Sipho Mabuse, a flutist. Compilation of tracks from the first two LPS. A personal recollection from Keith Addison here. Many thanks to Siemon, Rashid, Francis, Keith and David for information, LPs, PDFs and more! Re-reading this I see the name of Peter Segona,another unsung South African musician with a very eclectic carrier,saw him play with Manu Dibango,he played with Incognito,Azania,featured on a Cymande album,was all over the map,but pretty much unknown. It seems Peter claimed asylum in the UK after touring with Hugh Masekela in the mid-eighties. Currently based in France. Glad to see the appreciation of Batsumi. I was fortunate enough to work on the documentary "life and death in soweto" based on Zulu Bidi "ZB" and his life after the band and the jazz scene in joberg was closed to him. At the time I did not know much about the band, but I grew to appreciate them and their music. Whilst filming the doco, the band attempted a reform, it never really happened, to many years, too much drink. ZB has since passed away from TB. RS says the file no longer exists. From what I have read, Batsumi looks really interesting.